*All original works include signed, studio embossed provenance. 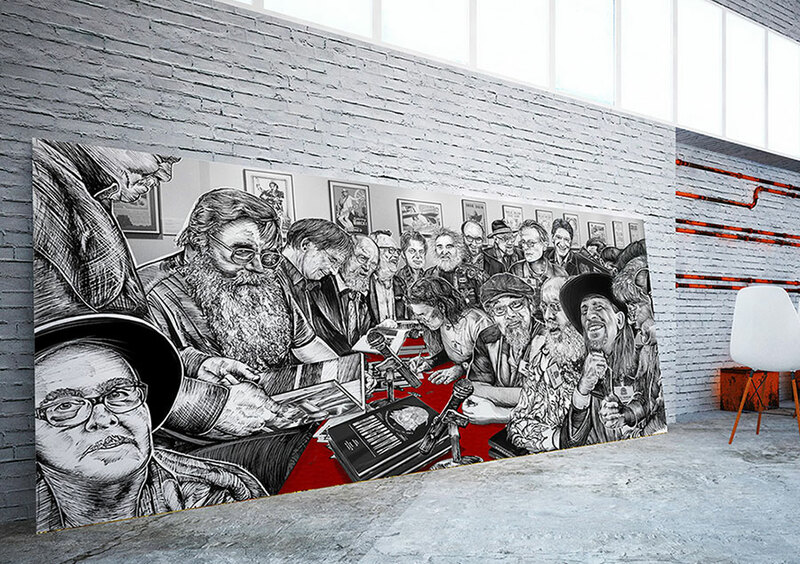 This is a tribute piece I did to honor a generation of artists that I have admired since I first came to Austin in the mid 1980's. Several of them have been friends and clients over the years. Blackie White Juke, Artly Snuff, Micael Priest, Danny Garrett, Jim Franklin, Kerry Awn, Jesse Sublett, Alan Schaefer, Mike Tolleson, Sam Yeates, Joe Nick Patoski, Tom Wilmore, Nels Jacobson, Bill Narum and Terry Raines at The Wittliff Art Museum Collections. 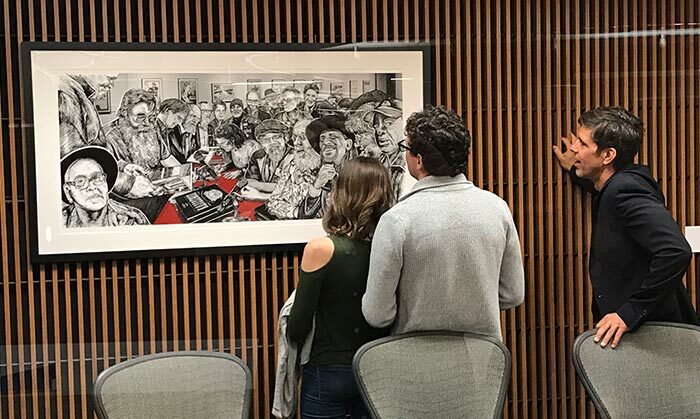 The large framed archival print (pictured to the left) hangs (2017-18) in City Hall in Austin, Texas. It will come down from the walls of the City Hall in Jan. 2018. This framed print is available for sale.